Great service speaks for itself. I want you to know the house looks wonderful after the expert painting process. It is revitalized and has taken on a new life. Several people have already commented how beautiful this Old House now looks. I appreciate all the come backs and suggestions- especially the front door color. I trust that if any issues come up you will respond as you have in the past. Thank you for your ideas, skill and craftmanship.
" We are very satisfied and pleased with the work done and the crew. We would gladly recommend you to friends." " Both of these men deserve high praise for their work. They were very polite and helpful and I am going to miss them! They deserve a raise, thanks!" " This was a very pleasant business arrangement. From the professional help of Ed (the district manager) , to the actual painter, it was completely professional and I am happy to recommend you to anyone." " Very well done! We are completely satisfied!" " Work was excellent! All trash was picked up and the work exceeded my expectations." Thank you to Mark and the two painters who did such a great job on our house at --- W. Naperville Rd in Westmont. Mark was nice to work with and patient as we tried to select the "right" color. It was very helpful to have all those samples put on the home first. The painters were very good + so neat!
" Not only was work done as agreed, the painters went the extra mile to get paint and extra lumber for me! Great Job! We would highly recommend-- great to work with!" " The crew was very personable and helpful in deciding exactly where each color should go. It was a pleasure to have them here." " Great job! 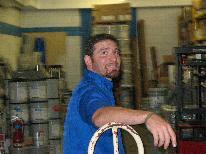 Your painters were both clean and polite and Carl (the district manager) was very professional." " Thank you for the beautiful job you've done. You are artists 'extraordinaire'! Sincere thanks." " The painter was absolutely wonderful. The work looks even better than when it was done new!! This is beyond what I expected." Thank you for being professional, easy to work with and having a crew (solo) that did a great job! It was a great experience.
" Both your crew manager and painters were very friendly and polite! They were also very helpful with color selection and suggestions." " Just want you to know that we are extremely pleased with the work you did and are glad that we chose you as our painter. You will hear from us again." " Arlene and I would like to express our thanks for a job well done. Chris and Jim were excellent workers and did an extraordinary staining and painting job. Again thanks for the expediency and excellent work." " Thank you for the excellent painting job. The porch and steps look good. I will be calling you in the future when I need to have more painting done." " Thanks once again for a beautiful job done by a super crew of young clean-cut men. We recommend you very highly to everyone for many various reasons." " The paint job looks great! Thanks for the nice job." You did your "splash" of color and here's mine! Thank you three for doing such a great job on our gazebo! When I returned home late in the day on Monday-- the job was done-- to perfection-- and the clean-up couldn't have been better. I was so pleased. Gene gave me your business cards and I will distribute them when convenient. Also, within now and October 2009, I will be calling you for an estimate on my daughter's home in Frankfort for painting of Kitchen, Living and Dining Room. Until later, thanks to all 3 of U!
" I know that my wife and I made a good decision when we chose Campus Corps to paint our house. The paint and workmanship has been the best in the last ten years. It has been a pleasure to do business with you. I think that you are fair and honest in your dealings with your customers. I would not hesitate to recommend you and your company to anyone. The very best to you and your company in the coming New Year." " Thank you for your fine work." " I just want you to know what a nice job the young men who worked on my house did. In addition they were courteous and helpful." " Thank you very much for the excellent job Campus Corps did painting our home. Your efforts, and those of your employees, Adam, Donald, and Bill are to be commended. Your attention to detail and extra efforts produced a finished product that my wife and I are very pleased with. Please feel free to use our name as a reference. Thanks again." "This was our first experience working with Campus Corps- and we want you to know that we were completely satisfied with Mark and his crew. It was a joy to have them with us these past few days. They were most courteous and their workmanship was impeccable. If at any time you would care to use us as a reference, please feel free to do so. When Mark first called on us for the estimate, we knew then that he was the one we wanted to paint our home." We want to thank you for the wonderful job you painters (Dusan + John) did at our home. We are so pleased with their work. They were professional and very neat. We also appreciate that you were able to schedule the work in such a timely manner. You were honest with us... and that means a lot. We will be using Campus Corps for more work and will definitely spread the word about you services! Campus Corps is recommended by both your local paint store manager and neighbor alike. Our dedication to customer satisfaction helps Campus Corps forge relationships that last. We've been serving Chicagoland for 45 years and counting. "I thought they were very efficient, and they did their job well. They did a good job. They did mainly outside work. I would recommend Campus Corps. It was excellent work—I have no complaints. I'll give them an A+." "It was a good experience. They did what they said they were going to do, and there was no add-on to the charges. They treated me fairly, and I got what I paid for. I got what I expected. I have a brick house, and I had no drips or mistakes of any kind. I guess they were neat and clean—what you want painters to be. I would grade them an A+." "Campus Corps did a very good job. We've used them a couple of times. We've also recommended them. They painted a deck this last visit. They've painted molding, railings, and some support struts out in front. Essentially, they've painted the deck a few times over the years. They did good, quality work. I'll give them an A+." "Campus Corps came and painted the outside of my house, and I was very happy with that. I think Mark was the supervisor who came. They definitely did quality work, so I am very pleased. I would have them come out again if the house needed more painting, and I would recommend them to others. I got Campus Corps from the Best Pick Reports book. I would give them an A+." "We went with Campus Corps. I think they did an excellent job—they did exterior work this past summer. They were very nice and helpful. They never try to oversell us. The workers were always on time or even early, and they worked until they were done. I never had any problems. They get an A+." "They painted the entire outside of my house. Everything turned out very good. I got their name through my neighbor. We were very happy with them. The painters knew what they were doing. The customer service was excellent. I would grade them an A+." "They did the job right. They did my exterior painting. They cleaned up well, and they did the work in an efficient manner. They showed up on time as well. I would give them an A+." "They painted my huge house. They were really good. I live in a huge, old, Victorian, massive house; I mean, massive. They came out, and they were in and out of here in a couple of days. I was really surprised. They painted the whole exterior. It's huge. If you took four, normal, two-story houses and put them together, that's what I live in. It's an historic farmhouse, and it's massive. The old owners just kept adding on everywhere. There are a lot of porches, and it's five or six colors out there—a lot of stuff to paint and a lot of colors to keep in mind to paint them. The property was nice and clean when Campus Corps got done. They scraped, sanded, primed, and painted, and I didn't have any mess in my yard when they were done. A few years back—ten years, maybe—I had another company come, and they scraped, and all the scrapings were all over the roof and on the porches. The gutters and yard were a mess when they got done. There were paint chips everywhere, and I have small children, so I was not happy. This time, I was more than happy. I was surprised at how fast they actually got this barn done—this huge house. The quote process was fine. They really did a nice job, and I have lots of colors on this house. I liked the workers. They were friendly and knowledgeable, and that made a big difference from the last crew that was here. The last crew had five or six painters, and they were driving me nuts. In this group from Campus Corps, there were two guys that came out. They were here for three days maybe. They did a lot of work. They got here at a reasonable hour in the morning, and they worked until it was dark. They didn't just quit at noon like the last company did—those guys would come, work a couple hours, and be gone. I realized, at that time of the year, the sun is high, so you start on the side where the sun's going to hit it the worst all day long, which these guys did. When it got too hot to work on that side of the house, they went to the other side, where it was shaded. This is an old, wood house; it soaks up heat like it's going out of style. They sprayed it down with a fine mist of water and stuff to cool the boards and stuff before they even started painting each time, which makes it more porous. It tends to soak in the paint, which means your paint job's going to last longer. Normally, most people don't need a paint job very often. This house gets massive amounts of sun, so probably every eight years or so, I paint it. They did a nice job cleaning up my yard. We have farm animals, obviously—horses and chickens—and I have two children here. I really worry about paint chips and all that kind of stuff. They put tarps down before they scraped and sanded. There was no debris left by the wayside when they got done, which for me is important. I think they were an A. They were really good. If they weren't sure about a certain color, because we were changing some of the colors, they came and asked. Some guys just would have painted it the color it was. This is a Victorian house, and it dates back to mid-1800s. The houses back then were anywhere from 5 to 25 colors with lots of spindles, lots of columns, and stuff. Everything—every piece of trim—is a different color; even the body of the house is. There are just a lot of colors." "They were good. It was fine work, and it was quick. They gave me a quote, then we cleared them, and they came and did a good job. They stuck to their quote. It was an exterior job, and they cleaned everything up. The workers were thorough and efficient. They did a nice job, so there's nothing really bad to say about them. This would be a company I would use again. They're an A." "They painted the siding. They were on time and very neat, and they did a good job. Everything is holding up very nicely for me. I haven't had to call them back out for any reason. I would rate them an A. We will use them again. I would recommend Campus Corps." "They painted the outside of the house. The quality of the work was very good. They were reliable; they showed up on time. One of the painters had a minor accident, so it ended up being one guy doing the whole job, which took longer than they anticipated. They also damaged one of the aluminum window frames with a ladder, and the guy in charge said, 'No problem. We repair or replace—whatever it takes,' and they did. I would give them an A grade." "Campus Corps did our front porch. It looks very nice, and they did a good job. They responded in a timely fashion and were considerate. I would recommend them to friends. We've used them before whenever we needed painting done on the exterior of our house; we haven't used them on painting the interior. I'd give them an A." "They were on time, and they did a good job. I was very satisfied with the work. They scraped the whole front of the garage and my front porch, and they repainted them. They did it in one day. They were very good about the cleanup. I asked them if they had a power washer and if they would mind washing off my outdoor metal table and two chairs so I could repaint them, and they very kindly did that for me. I would give them an A+. I have no complaints at all." "Campus Corps was great. They did outside painting. It was good work. The workers were perfect. Everything was done well enough for me to use them again. I would tell friends to go for it. They're an A+." "They did a very nice job. I would give them a high recommendation, and actually I have, so they're all good." "They were very good. I had them do a wooden garage that needed to be painted five years ago or more. They had to do a lot of scraping and some filling and some other minor repairs. Then, they did a coat of oil-based primer, and they put latex-acrylic paint over the primer. So far, so good—it's holding up. I had no communication problems with the company; they were very courteous and very honest with their estimate, and everything went according to schedule except for a few minor weather delays. They're an A. I would probably call them in the future." "The crew got in, and they got the job done in a week. They were timely, punctual, and hardworking every day, and they did a really good and thorough job of painting the exterior of my house. Everything is holding up just fine. There were no communication problems whatsoever. I would recommend them to others. They're an A+." "Campus Corps did what we asked, and they did a good job. They were prompt and clean. We were very pleased. They painted our living room, our dining room, and the upstairs hallway. I would recommend them. The workers who came out were very professional. I would give them an A." "Everything was fine. They did some outside trim work on the house. The quality of the work seems fine. The workers were fine as well. I would use them again. They're a fine outfit. I'd give them an A+." 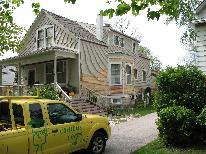 "Campus Corps painted the exterior of the whole home. It turned out beautiful. We called them, and they gave an estimate, some samples to try and colors to choose. Then the workers came and did what they said they were going to do, and in a timely fashion, and everything got done. I would give them an A+." "They were very nice. They were on time, they did an exceptional job, they cleaned up after themselves, and they took a lot of care. They did some extra stuff that normally isn't their job's responsibility. The workers were friendly, professional, and very meticulous about their work. They just did a very good job. I am totally happy, and I will use them again. They painted a bathroom, and they painted trim in a bedroom. Everything's holding up perfectly for me. I'd give them an A+. I will use them again." "They painted all the trim on the outside of the house. The quality of the work was good. I would use them again. I'd give them an A. Their cleanup was fine. I would recommend them to others." "They gave a good quote, arrived on time, and did good work. I would recommend them; in fact, I already did. They painted an exterior door and the surrounding area. The worker was good. One guy came out and knocked it out in a couple of hours. The cleanup was fine. I have no complaints. They were very professional. They get an A+." "I thought Campus Corps was wonderful. I would call them back tomorrow. The man was always here on time; whenever he said he was going to be here, his workers were here. They made very good time, and they were reasonable—very nice company. They painted our windows, built new railings for us on the front porch, and painted part of our garage. It was wonderful. I have already recommended them to other people. They get an A+. Those men are hard workers." "Campus Corps did some exterior painting for me over the last year or two. They did a great job of painting—they kept us informed about the time frame, and of course the price was determined up front. That was good. And they were all very courteous. It was definitely easy to secure an appointment with them. The job was done in a timely fashion. We were happy with the service. I would give them an A and recommend them to friends." "They were prompt on call back. They were thorough in the description of what they would do. The workers were prompt and cleaned everything up. The actual work was neat and clean. It was the exterior painting—a pool deck, a shed, and a front porch. So far, so good, as far as how it's holding up. Their flexibility really stood out; they worked with me as far as colors and guaranteeing satisfaction and everything. I would say they're an A. I would use them again." "They painted the house exterior. They were just fine. So far, everything is holding up. They were very pleasant the whole time and very professional. The time frame was good. I would grade them an A+." "We thought Campus Corps was great. All went well, and all the painting got done that they said they were going to do. It looks very nice—no complaints. They painted all our outdoor trim, did a very complicated staining of some exterior doors, and did some indoor painting. They repaired a wall that had been damaged by water, and it looks very good. We would use them again and recommend them. They're an A+." "They did exterior paint in the last year. They were very good. The saleswoman was great—everything was fine, and the guys were good. I would use them again. They were very good, excellent. I would give them an A+." "They were just fine. They painted the trim on the house. The quality of their work was fine. They just had to come back to do a little bit of touch up. There was one guy who was in charge, and I spoke to him a little bit. He seemed fine; he seemed very nice. They did a fine job. They came when they said they would, and they were done when they said they would be. I was happy with what they did. I'd give them an A." "They were just punctual and timely and responsive. They did good work. They painted my shed. Everything's holding up great for me. They're professional painters. What stood out to me was the work they did on the front end—just communicating, cleaning up paint, and things like that. I would not have any objections to using them in the future. I give them an A. I would recommend this company to someone else." "They painted our garage doors, three overhead doors, and some siding on our upper roof. It all went very well—no complaints at all. They did a nice job. I found them in a suburb guide called Best Pick Reports. The cleanup was excellent; you wouldn't know they had been there. I would use them again. I would give them an A+." "A young man came out, gave me an estimate, and told me exactly what it would be. He told me that if there were extra costs, exactly what it would be—showed me where the wood was rotted, and said it would probably be extra. He said he would talk to the men to see what they say, and then he would talk to me to see if I wanted to do further work. The two men who came out and painted were very professional and did it in a timely manner. I was very pleased with them. I would give them an A rating." "They did exactly what they said they would do. They came out and quoted. We had the trim on a detached garage painted, and it wasn't that big of a job, but they came out, and they said they would be here, and they were here. They were clean and thorough, and they did the painting. I would definitely recommend them. I would grade Campus Corps an A." "They did great, great job. I give them a thumbs-up in all categories. They were great—100 percent." "I thought their services were very good. I had a very good managing pair that directed the other fellows who painted. I had both interior and exterior work done. They were on time, they were clean, and they did a great job at patching up things. I do my own housework usually, but in terms of doing paint, I am glad I had them do it, because they did great. I have a lot of very high-ceilinged rooms that need to be painted every ten years, and I needed to have that done. I think they started their work for me in May, and the last job they did for me was in November; it was very recent. Overall, I'd give them an A grade. They're excellent, and the whole thing was good." "Campus Corps did some exterior work for us. It went very well. They discussed everything and came over when they said they would. The cleanup was good. I would probably hire them again. I would recommend them and grade them an A." "We were satisfied with them. They mostly did exterior painting for us. It was an overall positive experience." "I thought Campus Corps was very professional and did an excellent job. They painted the exterior of my house. They came out and gave me a quote; they went around the house and told me everything they were going to do. They gave me a form that told me exactly everything that they were going to do. They gave me a price and talked about dates, times, when they could start, and how long it would take. Everything was very professional. The workers were excellent—they were very conscientious, they were very thorough, and they were very clean. The cleanup went very well. I would give them an A." "I used Campus Corps, and they were fine. They were diligent, they were clean, and they were fast. Everything was just fine. They did exterior painting, so you usually need to let that go a year to make sure it's fine, but I would probably give them an A." "They did a very good job. I was happy with the results. I only used them the one time. They did what I asked them to do, and I was happy with what they did. They painted all of my outside window frames and my garage doors. The workers were very accommodating. They finished it in the length of time they said they would. The cleanup was very good. I don't have any complaints. I was satisfied, so I'd give them an A rating." "Campus Corps painted my garage, and I'm very satisfied. They kept the appointment, they told me what they were going to do, and they did it. We're very satisfied with their work. We'll give them an A because we had no trouble at all." "I think Campus Corps was very accurate in their estimates, pretty true to their word, and prompt. I think they did a great job." "I think they did some work in our house last year. They showed up and did a good job on painting the exterior of the house. My wife actually took care of the quote and lined them up. We had used the company before. She got the quote, and they came and did the work; I think it was fairly quickly, too. What makes us keep using them is the quality of the work and the people that do it. I'd say they were an A." "They came as early as they could with the weather permitting; they were delayed a few weeks because of that. They did a great job, and they cleaned up. The previous painter we had used had gotten paint on the gutters, on our windows, and on our driveway, and this time, there was absolutely no paint anywhere, that we saw. We were really happy. They started out by giving a quote; it was fine. They came over, went around the house, looked at everything we wanted done, asked us how many coats we wanted, and supplied their quote in writing. They patched up some woodpecker damage that was on some wood siding, and on each side they did two coats because they get a lot of sun. They also did a ceiling for us; they did my kitchen ceiling, and I was happy about that as well. The workers were neat and courteous. They cleaned up after themselves. I give them an A." "Campus Corps did a wonderful job. They were courteous, qualified, and professional. They prepared and painted the exterior of my Victorian house. The preparation is really key when you’re painting a very old house. They spent a lot of time in preparation and applied a good, quality paint over the properly prepared surface, so they were knowledgeable about what they were doing. They worked hard, they did very well, and I would not hesitate to use this company again—A+." "They impressed me. It looks 100 percent better than it did before. Campus Corps had exceptional people, exceptional service—everything was wonderful." "Those men did a tremendous job. They did a great job preparing and doing cleanup, and they were fast. The house looks great. This was my third time using Campus Corps and my third time being satisfied by them." "They did a super job. They were just—all the way around marvelous. I absolutely couldn’t ask for anything better. They were really good, hardworking people. Everything was clean as a whistle. There was not a drop of paint anywhere." "They did very well. I really loved the service. The guys they sent out did an excellent job, and they were very professional and very personable. I had them do other work before, so for this last job they were the only one that I went to." "They’ve done work for me twice now. They’re good....I couldn’t be happier. I had them do some outside painting and some inside painting. The man that did the painting was very nice and cleaned up very nicely after himself. I couldn’t really have asked for more, and I would use them again." "Campus Corps did our exterior painting last year. They did a very good job. The gentleman I worked with was very helpful, and the work was done within the time they said it would be. When it comes time for me to do some interior painting here, I’m going to call on them again." "The Campus Corps painters did all the exterior painting on our house, plus the windows, and they did a terrific job. It looks great. We used to have a lot of issues with paint peeling—the house hadn’t been painted for a number of years— and they were good about repairing things before they painted." "Campus Corps is the only company I ever use to paint my house. I’m very happy with what they do. When they say they’re going to be there on a certain day, they’re there. They’re the one I really recommend." "They were first rate, very good. They did the exterior. The crew they had was very good and very conscientious. I would use this company again and refer them to others." "We did have some outdoor painting by Campus Corps, and they did a pretty good job. It was a good experience. They did all the trim around the house, wherever there was wood. It was kind of an odd job because there was like wood here and there and everything, but they did it pretty quickly. No problems." "I had three bedrooms painted, and the wallpapering in half my kitchen removed, and where they had removed the paper they painted that plus the ceiling. They did a good job. I was satisfied. There were two of them, they showed up on time, and they cleaned up afterwards." "They were great. They did outside painting for me. What was good about their work was the quality of the job done. They cleaned up everything nicely, and they got in and out pretty quickly." "I was very pleased with them. They did a little of both interior and exterior work. I am very happy with the work. They did a good cleanup." "Campus Corps did interior painting sometime last year. It was good work and good cleanup. Everything was good. I would use them again." "They painted some trim on the outside of my house. I was very satisfied with their work. I would refer them to somebody else. It was just a good job." "I didn't have any problems with Campus Corps. They did a good job. They did the outside. I recall that the manager there had a nice sales pitch. They didn't pressure me. They gave me time to make my decision and everything. When they did go ahead with the job, they were pretty prompt. I think it started a couple weeks after we signed the contract." "They did a good job. I think it went well. I would recommend them to other homeowners. They cleaned up well after the job. They were very professional, and I felt comfortable with them being in my home." "Campus Corps painted the outside of my house. I thought they did a very high-quality job. Everybody was polite and respectful. I'm very happy with the job, actually. I would hire them again." "They did outside painting. They did fine. We have used them a number of times before. They are careful, and they don't make a mess all over. They clean up well when they are done." "They were pretty good. They came out in a timely manner. I was having the exterior of the house painted. The men worked a day and a half. I think the best part of it was that they never bothered me. They never rang the door bell and asked for something. They never intruded. The only time they rang the doorbell was when they were finished and they needed the check. That was great." "They were very good. They painted outside. They were just very efficient and made sure that we had the right color picked. They were very prompt. I had no problems with them. They were very neat." "It was fine. They painted the outside. They cleaned up well when they were done. I would recommend them to someone else." "They did very good. What I appreciated was that they were thorough and made sure that I liked it. I would recommend them to other homeowners." "We were reasonably pleased with the work. My wife was pretty happy with it because she didn't beat me up about it. I did hear her telling her girlfriends to call them, so she was happy. They did outside painting. They cleaned up everyday. When I came home, all their stuff was neatly stacked in the yard, and the tarps were all folded up and the walks swept. They were good. I would use them again." "They did some exterior painting for me last year. It was good. I was happy with it. They did most of the exterior. They did good work. 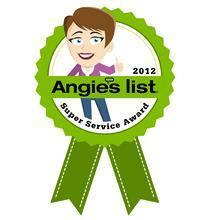 I had no problems with the service." "Campus Corps did a fine job. We were satisfied. We were pleased with everything. Everything was good. I would use them again." "They painted the outside of my house. They did a good job. I would recommend them to other people." "They painted inside. They did a nice job. They were here when they were supposed to be, and they cleaned up and took care of everything." "They did an excellent job. They were just great overall. 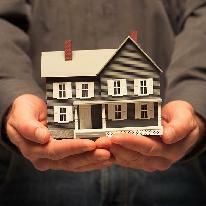 I would recommend them to other homeowners." "It was Campus Corps that did our house. I liked the job very much. We're very satisfied. We would use them again." "So far it was OK. As far as we're concerned, it was fine. They were fine. They didn't leave a mess. They were good." "They did interior painting and deck painting. Everything turned out very well. I would refer them to other people. They had good cleanup." "Campus Corps did excellent work. They painted inside. They were polite, neat, and accomplished the job." "We were happy with Campus Corps and their work. They did the whole house and the garage. They were polite, and everything went well." "Campus Corps did a good job." "They did a fine job. It was a very small job. They responded to my requests in a timely fashion. They cleaned up well. They did a good job." "They did outside painting for me. They were pretty good. The sales guy was friendly and knowledgeable. There was good cleanup. I was worried about that too, because my wife is particular about her garden, and they were really conscientious of that. There was good communication through the whole job. Whenever we had questions or anything, there was a manger there to let us know." "I am the treasurer of a condo association, and they did painting for the condos. We really liked the work. In fact, we had them back and do some other stuff. They did all our railings on the front of the building and the back of the building, plus some stairs and stuff." "Campus Corps was terrific. They just did a really good job. They showed up on time and were professional and personable. I would recommend them." "They did exterior house painting. They were tremendous. They were very clean and on time. They worked in the heat of the summer in 2010, and they just delivered what was promised." "I remember what they did for me. They did the whole exterior of the house, and they did a fine job. I was very satisfied with their work. I would refer them to somebody else. What I liked was that they were very accommodating because I had changed my mind on one of the colors I had chosen for the house. So they were very accommodating." "He did a closet here, a special project, and he fixed my bathroom window. It's been five degrees below zero, and there is no cold coming through that bathroom window. I got the same thing downstairs, and I like how that was done too." "Campus Corps did exterior painting last year. As far as I know, they did an excellent job. My wife was more involved with them because I was out of town at the time, but when I came home everything looked wonderful. We're really happy with them. We used them once before, and we've had no problems with them. We're kind of a repeat customer for them." "They did good inside work. It was clean and it was quick." "They did some exterior painting last year. It was fine. There were no issues with anything. I would use them again." "I thought they did a good job. They did the inside painting. They were here, the guy did the job, he was fast, he was courteous, and he was on time. The guy did really a good job. I'm happy with it." "That was at the end of last summer. They painted outside. I was satisfied with the work they did. I would call them again. We were very satisfied." "Campus Corps did the work last summer. They painted the outside of my home. I was happy with it." "Campus Corps did a great job. They did outside painting." "They painted the trim on the exterior of the house. The quality of the work is very good. I would definitely use them again." "They did some exterior painting last year. They did the whole exterior, but the house is mostly brick. They painted all the wood, more than just trim. They did a fine job. I would use them again." "Campus Corps was good. They did a great job. What stood out about the painters was that they cleaned up well. That was really good. I would absolutely use them again." "My house looks beautiful. The paint they use—or whatever Campus Corps uses—is beautiful. There were no issues at all. I'm probably going to hire them again in the spring." "Campus Corps did some work last summer. We were happy with the work." "I was fine with the service." "Campus Corps is here again doing more work. They're on time, they do a nice job, they clean up well, and they're pleasant to have in the house. I've had them here for several jobs; I've had them here for exterior work, they've taken wallpaper off, they've painted, they've repaired ceilings, and they've repainted a flooded basement. They've just been wonderful. I would highly recommend them." "I was pleased. I think Campus Corps did a fine job. They were very responsive. They just did exterior work. They did our porch in back and some fascia. We probably would call them back. I feel they finished that job in an appropriate amount of time." "Campus Corps did the trim on the outside of the house. I was very satisfied with their work. I would refer them to someone else. They showed up on time, and they were very neat. They cleaned up afterwards, which I liked because I've had some painters who were really sloppy." "They're fine. They did a fine job. I have used them again since then." "Campus Corps did some painting. We were very pleased with their work." "They painted the exterior parts of the house. The people were very friendly, Johnny-on-the-spot, and they did a great job. They did what they said they were going to do. I would give them a positive referral, and I would use them again." "They did fine. I've had them a few times. They always cleaned up after themselves and did the job to my satisfaction." "They painted the outside of our house. Their work was good. They definitely cleaned up well." "They just painted the exterior of my home, just the trim. That was a year ago. Everything is holding up so far." "It was fine. They did outdoor work. It was our first time using them. They were pleasant. They were good workers." "He painted twice for me. The first time, I had my eaves painted on the side of my house. The second time they came out, they did the eaves on both sides of the house. They did a good job and cleaned up well. I was very satisfied with their work. I would refer them to somebody else. They did a good job." "I already complemented Campus Corps on the work that they did. It was very good. I was very happy. They did a wonderful job. They were very neat, very polite, very professional, and I would recommend them." "They painted the exterior of my house. I was very satisfied with their work. I would refer them to somebody else. They just really paid attention to detail. They did a good job." "They did an excellent job. Their work was very clean. I was very satisfied. Whatever they did, I was happy at the end. They finished the job in a good amount of time. I would have them come back if I needed painting." "Campus Corps did the back deck. It really needs to be replaced, but we didn't want to have to do that. But they took all the bad boards and replaced them with good boards, and they got all the nasty old paint off, because it was really old, and repainted it. It looks wonderful. Now it's usable and it looks good too. They did a very good job. They were very personable. I could go out there, and they'd explain what they were doing. They were nice. I would use them again. I would rate them as an A+." "They were excellent. It was outdoor painting; it took about two or three days. We were satisfied with the work they did, absolutely. The guy was awesome—I absolutely would use them again. I would recommend them to others." "They did some exterior painting for me last year. They painted the whole exterior, and overall I think the quality of the work they did was very good. Cleanup was done, and there were no issues. I would use them again." "My house is sided with cedar, and they stained it. I was very satisfied with their work. They were good. I would refer them to somebody else. I thought the young man that did it was very precise. He was very, very good." "I was happy with the work they did for me. It was fine." "They did wonderfully; it was a great job. They had good people working for them that were friendly and very, very clean." 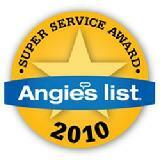 "We were very pleased with their services. Everything was great." "Campus Corps was wonderful. The fellow—I can't remember his name, maybe it was John—came when he said he was going to come. He inspected the job, gave me an estimate right there on the spot, gave me a copy, and let me decide what I was going to do. I hired them and the person who did the actual work came out to look at the job before we got started and asked me many questions. We confirmed what he was going to do, and then he came when he said he was going to come. He completed the job in one day and did a very good job. I highly recommend them." "They did very well. They did a nice job. They cleaned up after themselves and the supervisor was here to check on them frequently, so I would use them again." "They did a great job, and I really don't have any complaints. It was one time only—we had our back porch painted. I spoke with the gentleman several times, as far as paint samples he brought out for us. 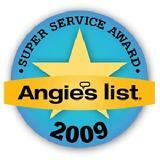 They were very knowledgeable, and I think they did a good job." "They did very good. I was completely happy with everyone who was there. They've done a few things for me." "I was happy with their service." "They were great—very good and very professional. We had had a reference from someone else. I'd give them an A." "They did very well. I've used them before. This is the second time, and he knows what I like and he's taken care of it. They did a great job." "We actually relocated from the house that they did the painting on. They did a very good job. They did a thorough job. They left everything neat, and there weren't any problems. Plus, they were done in a timely fashion. I was pleased." "They did a great job. They were on time. They were clean. They finished the job within the time that they said they would, and we found nothing to have to call them back about, so I'm happy. It was exterior only. They did one other job for me at a different home, probably about ten years ago. It's been consistent service." "It turned out very well, both outside and in. It was a one-time job. They were fine people. They did their job and were very polite and cleaned up after themselves. It's been good all the way around." "They did work last summer or last fall. They did very well. We were very pleased with the paint job. It was just the exterior. I couldn't tell you about any individual names or painters, but certainly the group that was here was very professional. They were very neat. They were quite thorough. They did very well. We were extremely happy with them. We would have them again. In five years when it needs painting again, we'll probably call them again." "They did great. I have no complaints. It's the only job they've done for me. They were friendly. They were nice and helpful. I mean, I had no problem with anyone. It was a good job, and I thought they were very professional. I had no problems." "They did wonderfully. It's the second time I've had them. I was very happy with them the first time, which is why I had them the second time, and they did a good job this time. I'd have them again if I needed them again. I have recommended them to some neighbors, and they're satisfied." "They did fine. I'd give them an A." "They did a very good job. I was very satisfied. They were from Westmont, and I lived in Westmont at the time. I was very satisfied with their work. I'd heard of them before." "They were excellent. The personnel worked hard, and they did a super, thorough job. They did it on time, and they did it in a couple of days. Everything was good. I wasn't even going to have them. I had been using a different one. I was going to give them a try, and I'm not going back to the other one." "They did fine; it was a nice job. I had other outfits do it before, but they did a good job. It was exterior. I would give them an A." "They did very well. We were pleased. It was exterior only. That's the only job they've done for us. Larry, who did the job, was very professional. We weren't here much while the employees were completing the work, but we have no complaints. It was done in a very timely fashion." "They were very nice to work with. They did some painting on my house, probably four or five years ago. The good news is you don't have to paint your house every year anymore. I used them before, and I contacted them again because I needed some more painting done. Last time they only painted the trim. This time they painted the whole house. I got a price from them, and I got a price from other people, and they were very easy to work with. And they used the material that I wanted them to use, provided the warranty that I asked for, and they did a nice job. I would definitely give them high marks." "They did fine. It was exterior work. They were fine. I'd give them an A." "They did a good job. Everything is fine. They worked very well." "They were fine. They were first-class quality, no problems at all. They did it within the time frame they gave me, and the budget and all that, so it worked out really well. I'd give them an A." "They did a very nice job. They were very friendly. They gave me a clear estimate. They performed the work on time, and everything went very well. It was exterior work. It was the only time they've done a job for me." "They did it in the summer. It was fine. It was wonderful." "It was just fine, perfect. It was the only time they've done a job for me. They did everything they said they would do. They were on time. They were clean. They did exactly what I asked for." "It was nice. They did a good job. It's the second time they've worked for me. The first was about 15 or 20 years before. It was good. There were no problems, and we are very happy. Everything was fine. It was very professional." "They were fine. I don't remember the guy's name, but he was terrific. There was one small interior job, but the main piece was exterior." "They did some painting for us, and they did a great job. It was on time and within budget." "They did a good job. They did it quick. I mean, it wasn't small. I think it's a middle-sized home, and they did the whole home exterior. I would use them again." "They've done work for us five or six years ago, too. Their personnel are great. We work with Mark quite a bit, as far as the painting goes. We had them paint the house five or six years ago, and it's still lasting. Then Mark came three months ago—I guess it was about September—and painted the entrance addition that we had added. And I mean, they're great. No job is too small or too big for them." "They did OK. They've done work for me several times, and I'm satisfied. Everything has been exterior painting. I'm very satisfied." "I had everything done that needed to be done." "In a word: excellent. It was the only time they've done a job for me. It was just exterior. They were very responsive; it was very excellent service." "They did a good job. It's the only time they've done a job for me. They responded quickly and did a good job. I would give them an A." "The job was very satisfactory. I was very satisfied." "They did a really good job painting the outside of the house. I was pleased. In fact, I work out of the house. I had a bit of a time constraint on the whole project, and they sent in two crews. They did it in record time. And they did a really good job in the process. This is the first time we've done a job with them, but we are considering them for the inside as well. We'll have more painting to do." "They worked for us recently, and I think about seven years ago, too. I just went straight for them this time. They came when they said they were going to come. They did what they were supposed to do. They were neat. They were clean. They were polite. It was fine."